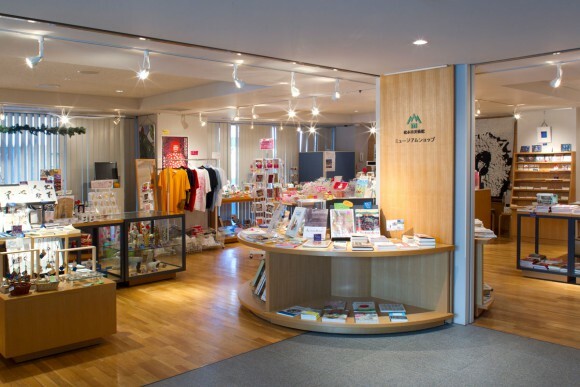 Many museum goods including extremely popular Kusama Yayoi goods, such as a postcard of an exhibition pictorial record or a collection work and fine-arts-related books, are sold, and also the goods set by the plan exhibition are sold. You can visit and enjoy shopping freely without an admission ticket. Please be free to drop in. 4-2-22, Chuo, Matsumoto-shi, Nagano-ken, Japan. Year Ends and New Year holidays. It applies to the art museum opening day.